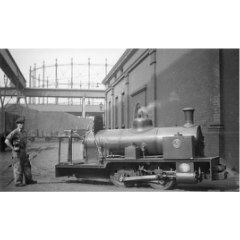 The Gas Works had railway networks with two types of lines serving goods and workers. An internal system of narrow gauge lines used steam locomotives and dealt with the ashes from the production process and with other waste and by-products. In addition, standard trains, part of the Caledonian Railway Granton Branch, operated from the Princes Street Station. This meant that coal deliveries could be taken into the Gas Works conveniently, and coke and other products sent away. 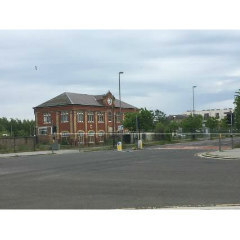 The Granton Gas Works Station was opened on 27 February, 1903. This was a substantial station built to take the workers to and from the Gas Works. As there was no other form of transport to this area at this time, it is suspected that more than just the gas workers took advantage of the service. 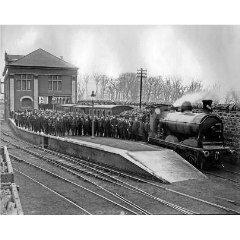 The station was closed in 1942 by the LMS Railway as transport links to the area improved. During the World War II, the Gas Works was a target for bombing, although it was not actually hit.